It has been three years since Dash Berlin released “World Falls Apart” featuring Jonathan Mendelsohn—and the dance anthem has been resurrected with a new rendition from Thomas Gold. 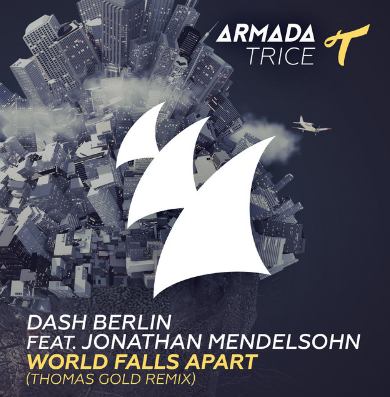 Seeing its official release on the Armada Trice imprint of Armada Music, “World Falls Apart (Thomas Gold Remix)” is a big-room, main stage variation of the original, which saw its release on January 26, 2012. The new remix from Thomas Gold takes the original Dash Berlin production to new heights, which includes earning a spot on the new Netflix series Sense8. Dash Berlin feat. Jonathan Mendelsohn “World Falls Apart (Thomas Gold Remix)” is available now on Beatport and iTunes. Stream “World Falls Apart (Thomas Gold Remix)” on Spotify and Apple Music.